Oil Based Mud ( OBM) is much costly in oil & gas drilling. In order to recycle and reuse the OBM discharged from solids control line ( shale shaker & desander & desilter), lower down the drilling cost and make it easy to further treatment in environmental friendly way, OBM Recycling Unit is becoming much popular for drilling contractors. Many drilling contractor will buy one set OBM Recycling Unit for their own use or rent service from third party service company. 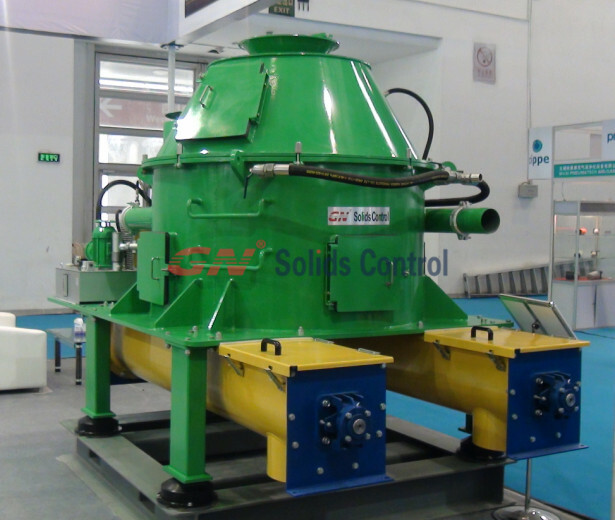 With customer’s feedback and suggestions, GN Solids Control develop one set OBM Recycling Unit. With the OBM Recycling Unit, your work will be simplified, effective. This unit is working together with the drilling. When drilling, there is OBM drilling cuttings discharged from shale shaker, desander, desilter; we use one horizontal screw conveyor to collect and transport the drilling cuttings discharged from solids control line, than transfer to next slope screw conveyor feeding vertical cuttings dryer. After treated by vertical cuttings dryer, the solids will be collected by cuttings box and transfer to workshop with TDU for final treatment. Liquid will go to liquid transfer sump tank by its own gravity. Then, the liquid will be feeding centrifuge by power from slurry pump. After treated by decanter centrifuge, The liquid will go back to mud tanks for reuse by its own gravity, the solids will be collected by cuttings box for further treatment in workshop with TDU. We make a complete skid with all the equipment installed on it, make it compact and easier for transportation. Now this unit has been tested and can recycle the valuable OBM in a high effective way. We get repeated orders from drilling contractor or drilling waste management service company. 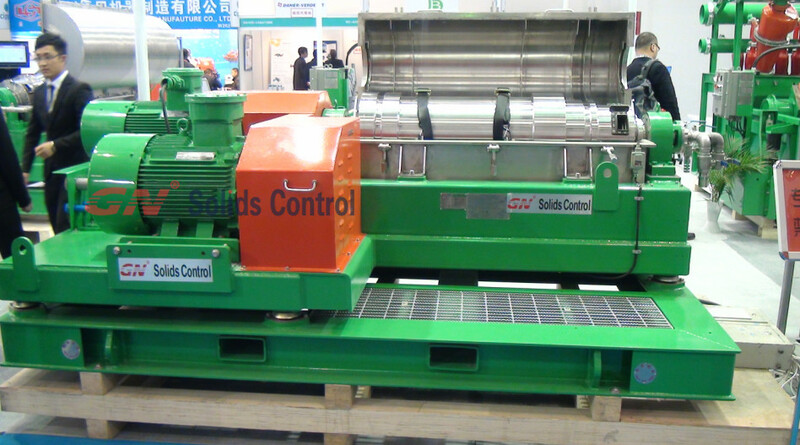 For further information, pls contact Hebei GN Solids Control Co., Ltd.